Global way finding brand standards create a consistent visual language in stores around the world. Under Armour opens new stores around the world on a regular basis. Each store has unique architecture, floor plan, and merchandise specific products related to what sells best in their region. Before this project launched, each region designed their own way finding. The challenge was to think about how people in countries around the world shopped. 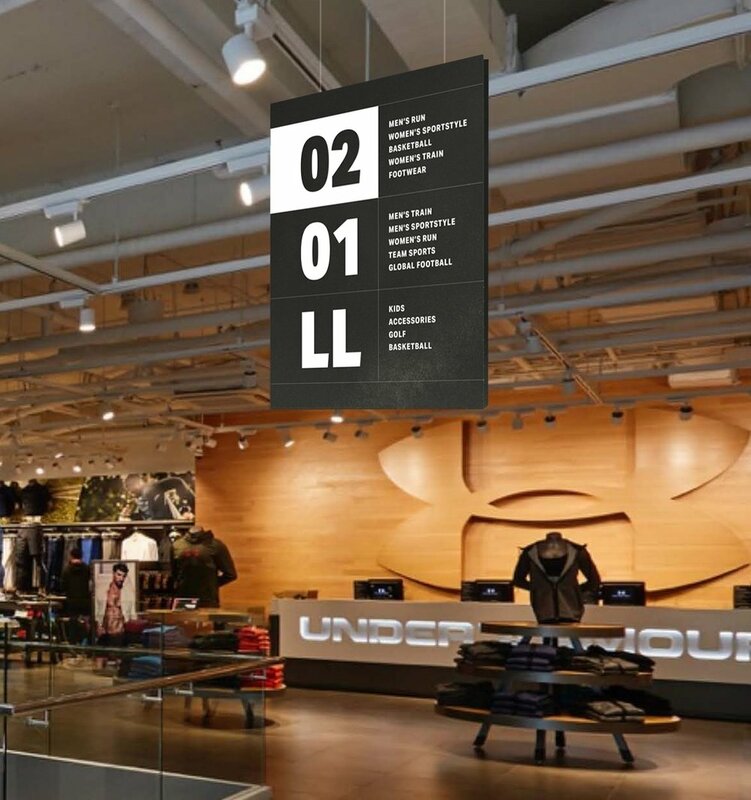 The global way finding language aligns with Under Armour’s online store. Brand standards created a consistent visual language in stores around the world in order to maintain customers experience no matter what the country or gear is in the store.